Peanut Butter Ice Cream, Baby. It is sultry and steamy here. And, Babycakes, I am not cooking. I am not even boiling water for my habitual ritual of afternoon tea. I am sitting in front of a petite blue desk-top fan. Eating ice cream. Homemade ice cream, to be exact. With nary a trace of dairy or gluten. And apparently, it is the best homemade ice cream I have ever made (so says my ever willing, taste-testing husband). This is the ice cream maker we use- it's not an expensive, fancy machine; and it does a superb job if the mixture is very cold. By Karina Allrich August 2012. 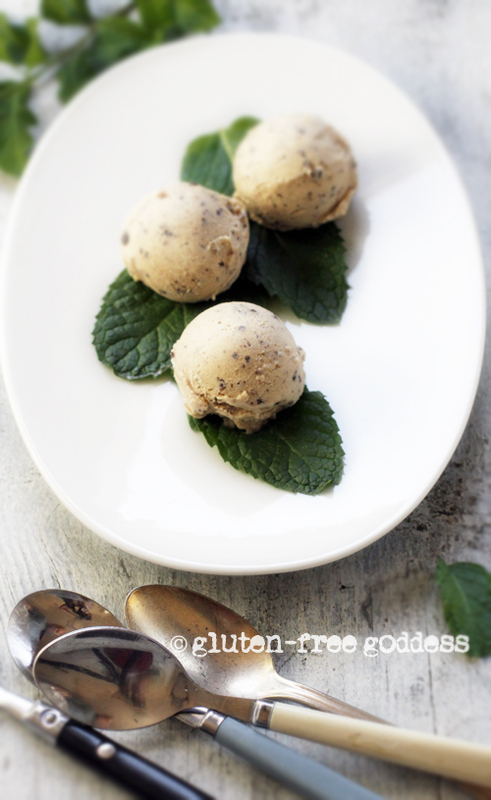 The blend of creamy coconut milk and natural peanut butter gives this vegan ice cream a truly decadent richness many dairy-free ice creams lack. One secret is the full fat coconut milk I use. Coconut cream replaces the butterfat in real dairy cream. The heavenly consistency is ice cream parlor worthy. 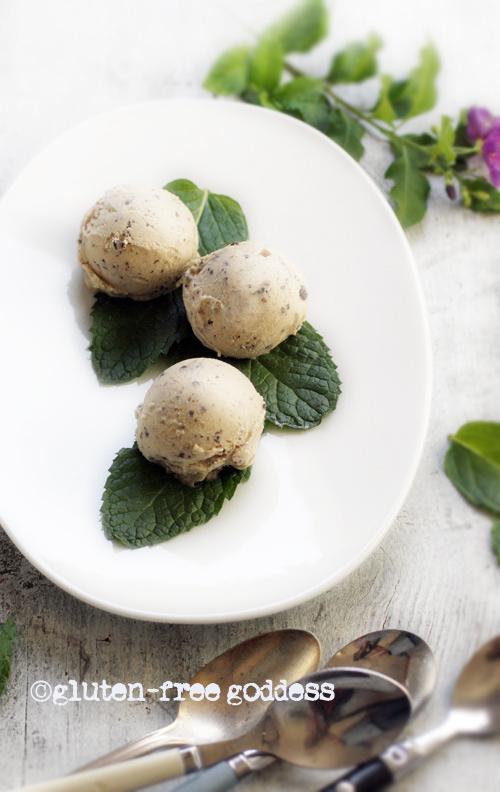 Prepare your ice cream maker ahead of time by freezing the canister overnight. You'll also need a good blender or Vita-Mix to whip the ice cream mixture. Combine the chilled coconut milk and light brown sugar in a blender and whip until the sugar is dissolved. Add in the natural peanut butter and vanilla extract. Whip just until the mixture is creamy and frothy. Note: If it's hot in your kitchen and the mixture is warm-ish, chill the mixture before adding it to the ice cream maker; it will freeze better if the mixture is good and cold. Makes roughly three cups of creamy gluten-free vegan ice cream. 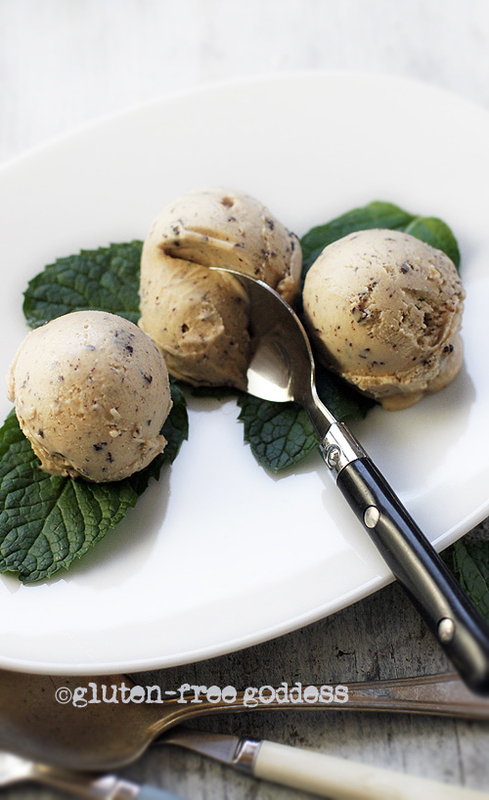 Serve in small single scoops, as it is rich. This is the ice cream maker we use- it's not an expensive, fancy machine; and it does a great job if the mixture is cold. Light brown sugar adds a caramel undertone to the peanut butter flavor. I've made it with organic white cane sugar, too, but I prefer the brown sugar version. If you use light coconut milk with less fat, you may need to add a scant pinch of xanthan gum. 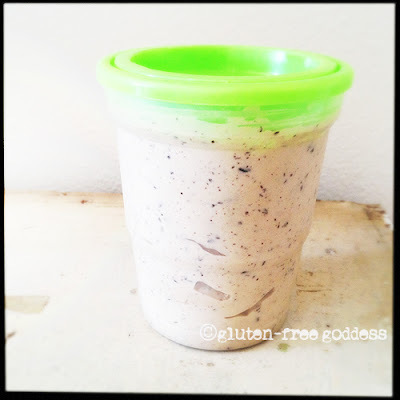 This helps vegan ice cream mixtures bind and become soft-serve smooth. Note you'll get a less creamy consistency. If you prefer using moo-cow dairy milk, I'd choose organic Half and Half. My preference is to use lovely, organic natural style soft peanut butter with sea salt. If you use a no-salt peanut butter, you may need to add a tiny pinch of sea salt to your mixture for optimum peanut flavor. Taste test the mixture before you freeze it. If you don't have dark chocolate (I use a 70% cocoa dark chocolate bar), try chopping up some vegan chocolate chips, or adding some gluten-free chocolate brownie crumbs, or gluten-free chocolate cookie crumbs instead. For those of you without an ice cream maker you could try freezing this mixture by hand and stirring it every 15-20 minutes to help prevent ice crystals from forming. This is not ideal, but it can be done. You'll most likely need to soften the ice cream a bit before serving.